Eat This Poem, one of Fathom's 24 Best Travel Blogs and Websites 2015, highlights the best food and fiction in cities around the world. Founder Nicole Gulotta gives us the rundown of all things literary in the idyllic beach town where she lived for eight years (and still regularly visits). A local staple since 1933, The Book Den is one of California's oldest book stores. Today, they sell new, used, and out-of-print titles. This local bookstore is away from the bustle of downtown, but worth a visit. They're big supporters of local and regional writers, and host readings throughout the year. Santa Barbara has wonderful local bookstores, but the nostalgic side of me secretly loves walking around the campus bookstore at UCSB with a pale mocha from Nicoletti's in hand. The Cental Library branch. 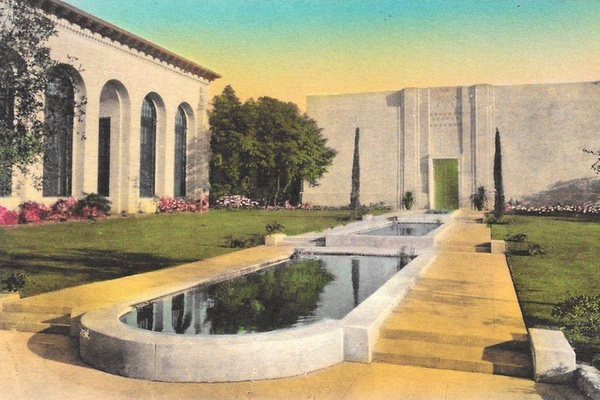 Photo courtesy of Santa Barbara Public Library. This is a museum holding the largest private collection of original manuscripts and documents in the world. It's a gem just off bustling State Street. The Central Library is conveniently located adjacent to the art museum. I spent many hours here as a college student. Head to the eighth floor for an expansive view of campus and the ocean. Cute shopfront at Coffee Cat. Photo by Nicole Gulotta. I spent many hours writing papers here during my student days. If you're on the move, grab a cup to go and walk across the street to the courthouse. Take the elevator up the clock tower for a panoramic view of the city. 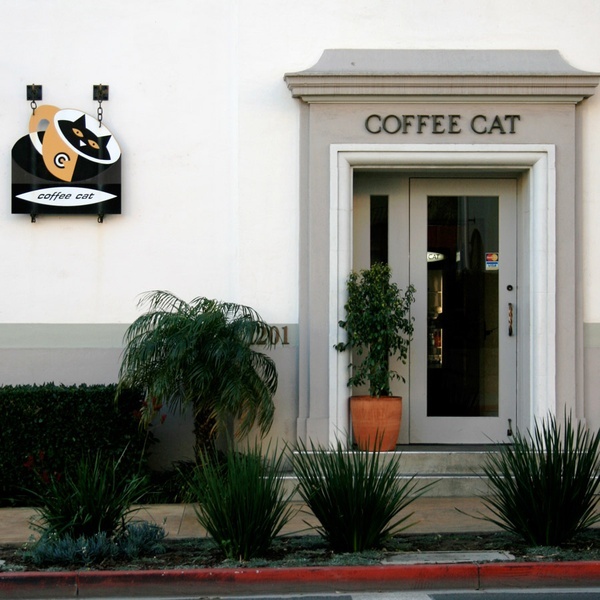 This coffee shop has two locations, including one on bustling State Street and the more tucked-away option on nearby Anacapa Street. Both offer ample seating and are places you can stay a while. This cupcake store and adjoining cafe is a good place to calm your sugar cravings. They also brew Intelligentsia coffee. 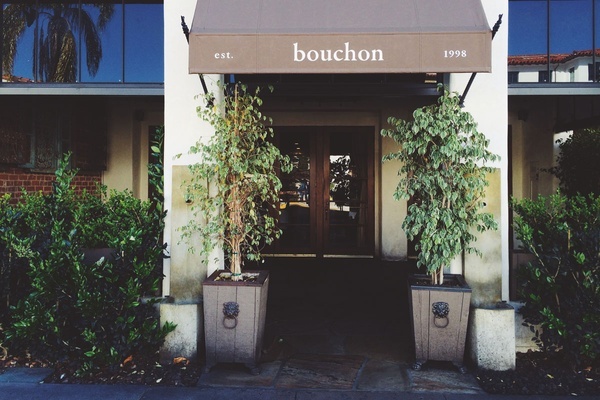 This was the first restaurant that introduced me to the beauty of pairing wine with food. Their mostly-local wine list, farmer's market menu, cozy atmosphere, and personable staff has made this my favorite restaurant in town since I started eating there in 2006. A family-owned restaurant that serves breakfast and lunch. They offer an impressive array of baked goods to go with your coffee or tea (that tend to sell out by the afternoon), as well as hearty and healthy meal options, like lobster benedict, whole grain pancakes, or warm quinoa with seasonal fruit and almond milk. I'm partial to the Montecito branch (within walking distance to Butterfly Beach). If your idea of "proper" includes wine, baguettes smeared with butter, and salmon cured with creme fraiche and tarragon, this new wine bar is the spot for you. Next to Les Marchands in the renovated Funk Zone near the Santa Barbara harbor, The Lark is a community restaurant that celebrates the bounty of the central coast. The pizzeria next door to sister restaurant Olio e Limone, is a great spot for lunch. Try the Umbra pie with mushrooms and truffles. Spoiled for choice. Photo courtesy of C'est Cheese. A boutique grocery that stocks foods from local purveyors, like olive oil from Ojai, Santa Barbara pistachio meal, and chocolate. 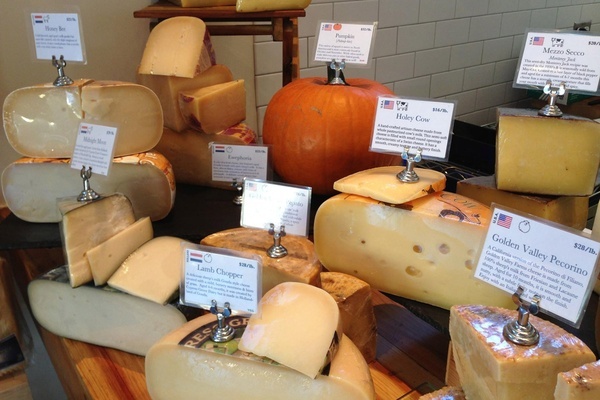 If you're in the mood for a picnic or are heading up to wine country, stop here to pick up an assortment of cheeses for your basket. Take a hike. Photo by MIke Verbois / Courtesy of Elings Park. If you're looking to create a writer's retreat for yourself, spend time at La Casa de Maria (800 El Bosque Rd., +1-805-969-5031) in Montecito. The grounds will fill you with inspiration. For expansive views, go up the clock tower at City Hall, or wander through Elings Park above Hendry's Beach. View from the pier. Photo by Nicole Gulotta. On the third Monday of every month, locals gather at 5:15 p.m. to read their favorite poems at Blue Agave (20 E. Cota St.; +1-805-899-4694). Visitors welcome. Each year, the Santa Barbara Book & Author Festival features a variety of panelists and up to nearly 100 booth vendors offering books, author appearances, and non-profit information. The annual Women's Literary Festival celebrates the work of contemporary female authors. UCSB offers events through its Arts & Lectures series, and the College of Creative Studies hosts Wednesday afternoon readings during the academic year. 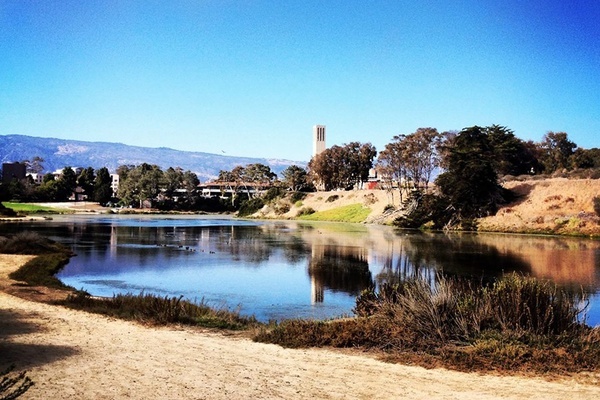 The gorgeous UCSB campus. 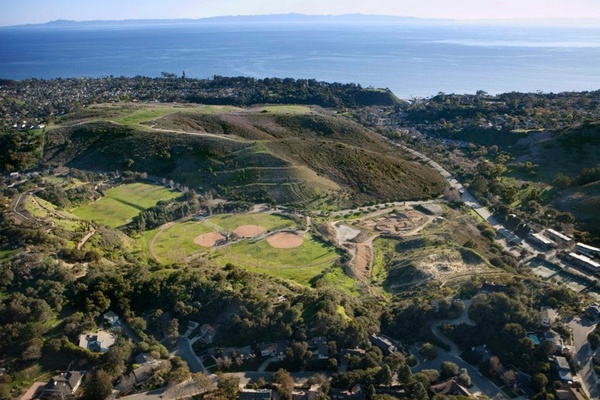 Photo courtesy of UC Santa Barbara. 1. Favorite view: Elings Park. For the best view, go through the park entrance then drive to the end of the road, where you'll come to a parking lot. Just before the lot, turn left up the hill, then wander around the pathways, sit under trees, and take in the sweeping views of the harbor. 2. Favorite place to write: On a bench overlooking Butterfly Beach, or in a local coffee shop. 3. Favorite museum: Karpeles Manuscript Library. It's a hidden gem tucked away off of State Street. 4. Favorite coffee shop: I love Jeannine's Bakery in Montecito. Their whole grain pancakes are a favorite. 5. 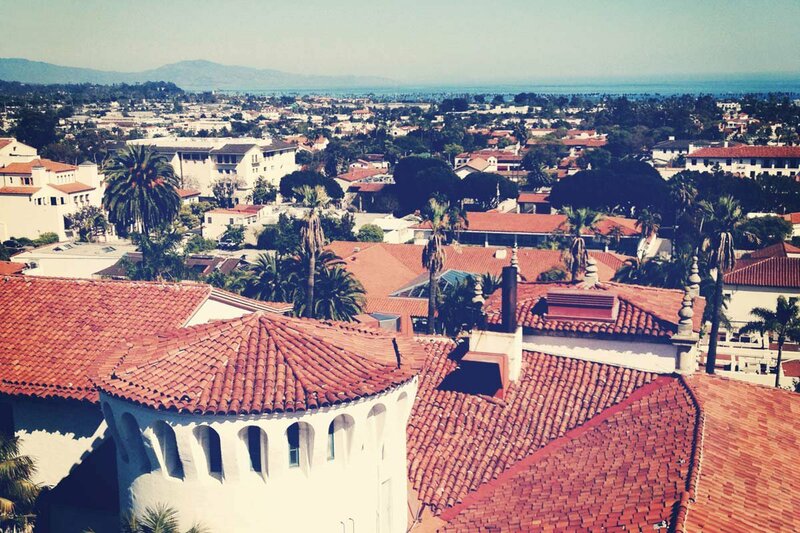 Favorite thing about Santa Barbara: Everything. And that's not an exaggeration. 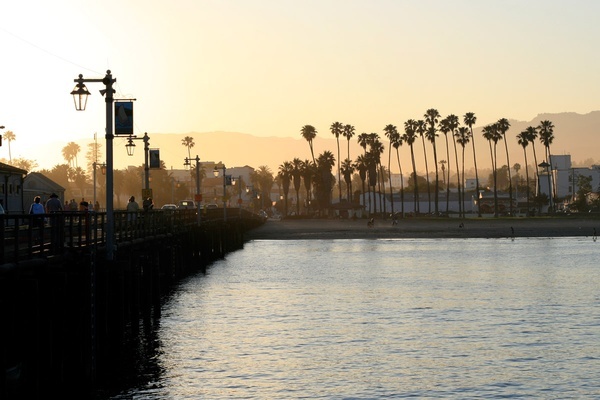 It has the culture and amenities of a big city, but it's really a beach town at heart. Plus, you're at the base of one of the world's best wine country regions. Also, the sea. This guide was edited and condensed from a guide that originally appeared on Eat This Poem and is printed here with permission. Nicole is a Los Angeles-based writer and founder of Eat This Poem, one of Fathom's 24 Best Travel Blogs and Websites 2015. You can follow her on Twitter and Instagram at @nicolegulotta. She travels for the food, mostly, and the thrill of starting (though not always finishing) a new book.